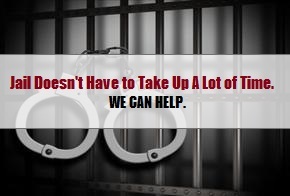 You have come to the right place if you currently need a bail bondsman in Fort Wayne. Whether you need to get a loved one out of the Allen County Jail, or surrender to an arrest warrant, Woods Bail Bonds is the answer to fast and friendly service at a price you can afford. Best of all, we operate 24 hours a day, 7 days a week, and 365 days a year. This means, we are there for you regardless of time or day! Continue below to learn more about our licensed and bonded Indiana bail bonds company, including what to expect from the process and how to get started! The pros at Woods Bail Bonds can help you with a hassle-free release from the Allen County Jail in Fort Wayne, Indiana. Our licensed, bonded, and insured bail bond company serves all of Fort Wayne, Indiana and its surrounding locations with a wide variety of indemnity services, 24 hours a day and 7 days a week. We provide county, state, and federal bonds for probation violations, arrest warrants, DUI’s, felonies, misdemeanors, and infractions, as well as, notary services, inmate searches, emergency bail bonds, and much more. And right now, we are offering 8% bail bonds! We also offer several complimentary services and amenities too in order to make the bail bond process easier, including free jail information, free estimates, free jail pickup and drop-offs, free bail bond form downloads, online payments, and more! Whether you need to get a loved one bailed out of jail, or check if there’s a warrant for your arrest, we are the experienced bail bondsmen to trust for courteous and professional 24 hour bail bond services. Whether you want a free quote, or to get started as soon as possible, your first and only step is to contact us directly and speak with a live, Allen County bail bondsman on duty. They will tell you everything you need to know and do when it comes to your bail bond needs. Not sure what to expect? Read or recent blog, “Common Questions About Bail Bonds” to learn some basics before jumping into the process. Call our office at 765-644-0400, today. This entry was posted in Arrest Warrants, Bail Bonds and tagged Allen County 24 hour bail, Allen County Bail Bonds, Allen County bail bondsman, Allen County jail bail bondsman, fort wayne bail bonds. Bookmark the permalink.